Check out our Golden Circle Iceland Video from our travel vlog series. On the third day of our Iceland trip, we ventured out to explore the Golden Circle Iceland. We picked up our rental car and drove on our own around this popular tourist destination that’s only a short trip from Reykjavik. The Golden Circle is made up of three main tourist sites: Thingvellir National Park, Geysir, and Gullfoss. It’s a great way to get a good feel for the entire island. If you only have one day to spend outside of Reykjavik, the Golden Circle is the best way to see Iceland’s spectacular nature in a short amount of time. If you want to learn more about the Golden Circle and how to drive it yourself, read our full travel article: Golden Circle Self Drive Tour. On the second part of our Iceland travel vlog series, we take you to the Golden Circle. 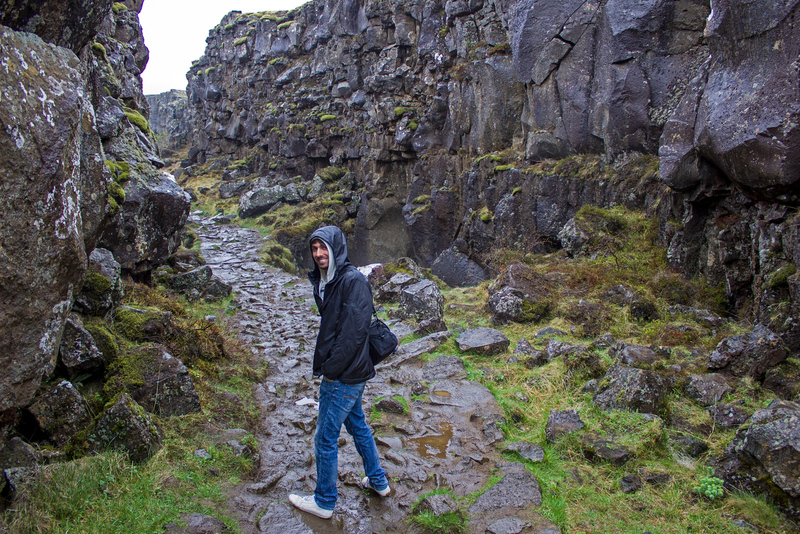 First, you’ll see the brilliant Thingvellir National Park, a UNESCO World Heritage Site. 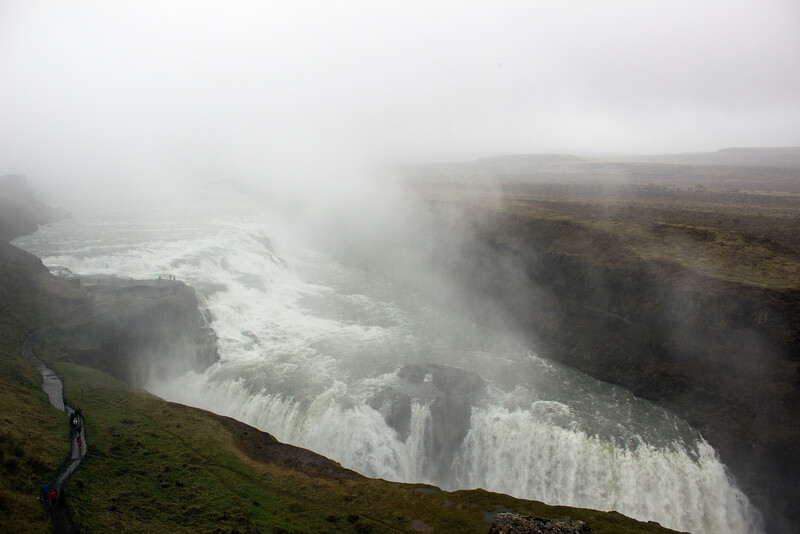 Then, we’ll provide you with a quick glimpse of Gullfoss, a huge waterfall (unfortunately, we didn’t stay there long as it was pouring rain). 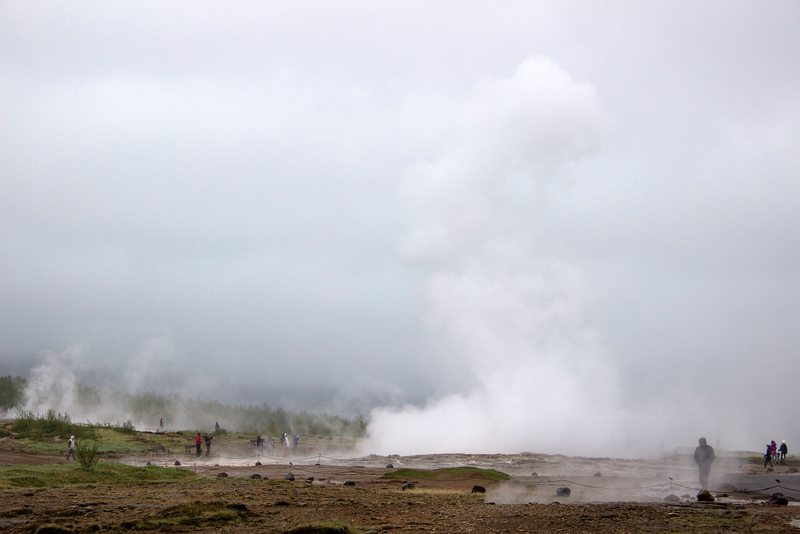 And possibly saving the best for last, you’ll see the famous erupting geyser, Strokkur. Without further ado, here’s our Golden Circle Vlog! While beautiful pictures of Iceland show you a glimpse into what it’s like to visit the island, this Golden Circle video will allow you to witness the magic and beauty of this stunning country even better. Are you interested in planning a longer trip around Iceland that extends beyond the Golden Circle? We visited Iceland for two weeks, embarking on a road trip around the entire island. Click here to check out our Iceland two weeks travel itinerary. Want to see all of our Iceland posts in one place? Check out this massive list to help your journey! Looking for somewhere to stay near the Golden Circle? 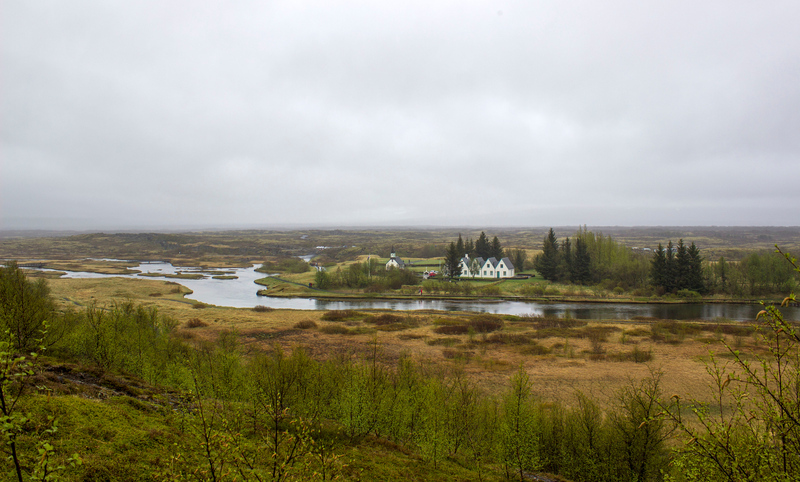 We stayed at a cozy cabin at Gesthus Selfoss that set us up perfectly to continue our journey around the Ring Road the next morning. Check out our full review of Gesthus Selfoss, book your stay at Gesthus Selfoss, and read more reviews by fellow travellers. Have you ever visited Iceland’s Golden Circle? Wow, that is quite the geyser, and so cool to see it on video rather than a still photo.